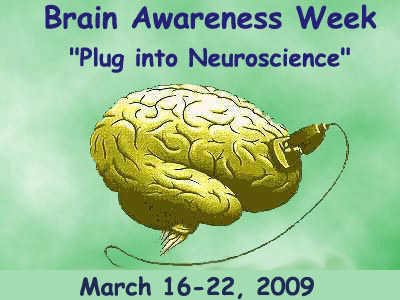 Neuroscience 2008: Let’s Zero in on Core Concepts 4, 5, and 6! The Twitter: Hey! Do you know the core concepts of neuroscience? The Big Idea: Teach 8 core concepts of neuroscience and watch for the tranformation of science and culture at large! As previously noted on this blog, The Society for Neuroscience has a noble vision: Identify 8 core neuroscience concepts, teach those concepts (and related principles) to children and teens and imagine a future redefined by a new and inspired league of young brain scientists. “Life should be so good,” as my grandmother use to say. For neuroscience to compete with the pop wizardry of computer tech, it will take more than mere naming of concepts. I’ll be on the look out for some nifty interactive gizmos and gadgets, the toys and games that drive the concepts home and park them directly in front of the theater of the young mind. Inventors, designers, artists take note! Since Core Concepts 1, 2, and 3 have been previously noted or inferred in this blog, (for review see below*), I’d like to comment directly on Core Concepts 4, 5, and 6. 4. Life experiences change the nervous system. 5. Life arises as the brain reasons, plans and solves problems. 6. The brain makes it possible to communicate knowledge through language. O.K., is it me or do other readers detect the over arching “ratio-empirical” bias to these general concepts? Granted they’ve been conceived by scientists for those studying science. But we’re talking about the whole brain and central nervous system, the brain and spine that keeps our heart and liver pumping, that loves, invents games, pretends, dreams, dances, tells stories in pictures, shares feelings with flowers or with something more gross like dumping garbage in your older brother or boyfriend’s bed! I think what we have here is a conflation of brain and mind, especially, the Enlightenment paradigm for the rational, speaking and writing mind. Core Concept 5 is a case in point: “Intelligence arise as the brain reasons, plans….” Wait! When did the brain suddenly show itself to be adapted only to analytical practices of difference-detecting leading to logic and planning? What happened to the idea of “multiple intelligence” put forward by Harvard prof. Howard Gardner? What about soma-sensory intelligence? Auditory signals? Visual Icons? Granted, one needs to read further to discover that Concept 5 includes human perception in the process of arising intelligence, e.g. : “senses, emotions, instincts and remembered experience” are counted as being relevant for information processing. Even consciousness gets its due: “Consciousness depends on the normal activity of the brain.” Fair enough, especially if one is learning about traumatic brain injury and coma. Yet for those who read deeply into neuroscience literature and into other cultural models of consciousness, remember Gerald Edelman’s argument for the limits of philosophic debate on consciousness. Seems SfN has transgressed the limits and put the question back on the table. Concept 4 (Life changes the NS): This concept is easier to digest if only due to the increasing press on neuroplasticity. Here we are taught to recognize the interactivity of nature/nurture, to awaken to the role our own lives play in developing nerve cells, to recognize how we affect the health of cells by way of stress and trauma and how we can generate neural growth through our own efforts. A curious notation: “Neuronal death is a natural part of development and aging.” For the anti-aging activists like Aubrey de Grey, this will surely be contested. And Concept 6? (Communicating knowlege through language) ….What can I say? Speaking on behalf of the somanauts, artists and designers I’ve taught for over 15 years, I have to wonder where scientists have been during during the culture and cyber wars of the last century? Were they not told of the departmental battles that dared to push “knowledge” and “language” into the larger domains of cultural “meaning” and “sign systems?” Are they simply unaware of pertinent research conducted in fields that stretch from info technology to cultural anthropology? Better yet, form study groups and invite a semiotician, a designer, a choreographer, a cultural ethnographer or an intellectual historian — any one who can offer an expanded view of actual brain/mind function in the world! 1. The Brain is the body’s most complex organ. 2. Neurons communicate using electrical and chemical signals. 3. Genetically determined circuits are the foundation of the nervous system.